The Traffic Safety Bureau is responsible for the enforcement of State Motor Vehicle Laws and Local Ordinances, investigation of Motor Vehicle Accidents throughout Marlboro Township including Serious & Fatal Motor Vehicle Accidents. The Bureau is also responsible for the operation of DWI Patrols, Division of Motor Vehicle Check Points & Radar Details. The Traffic Safety Bureau offers a variety of services to Township residents. 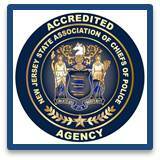 The Bureau currently has three officers certified as Child Passenger Safety Technicians who will inspect your Child Safety Seat. This inspection service is available only to residents of Marlboro Township. Proof of residence may be required. A Speed Machine was recently purchased to monitor speeds on local roadways. The Bureau investigates all complaints of street lighting, speeding, road hazards & Work Zone Safety along with all traffic studies and educational programs including Defensive Driving classes for Township employees and school bus drivers.